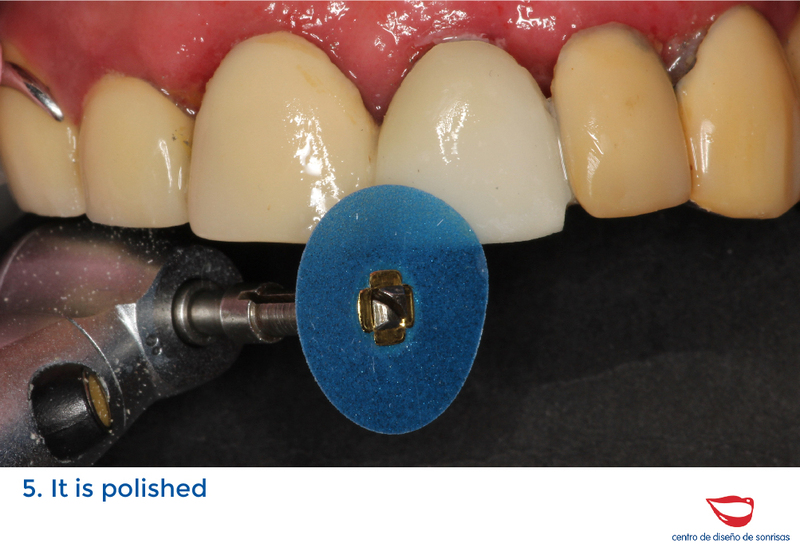 Diseño de Sonrisas, Centro odontológico Barcelona, Clinica dental Barcelona, Odontologia Barcelona, Esmalte sintético, Prueba directa en la boca, técnicas no agresivas y conservadoras, endodoncias, prótesis, implantes, dentaduras. 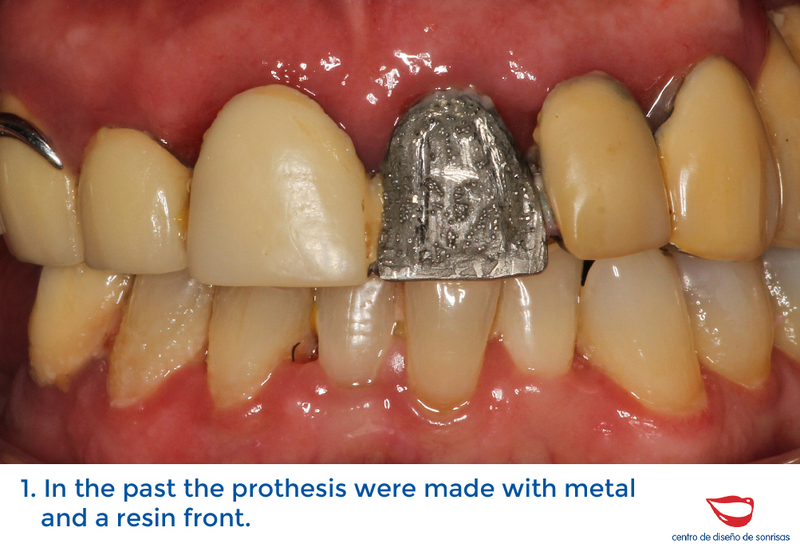 In the past the prothesis were made with metal and a resin front. 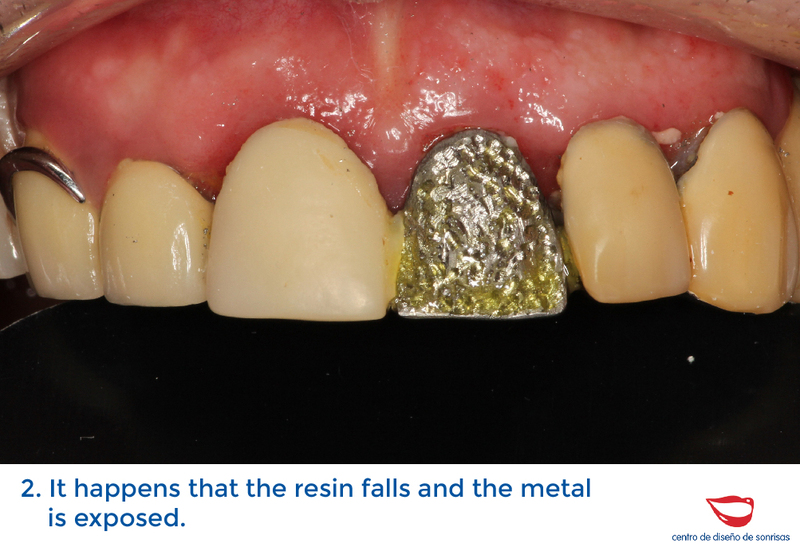 It happens that the resin falls and the metal is exposed. 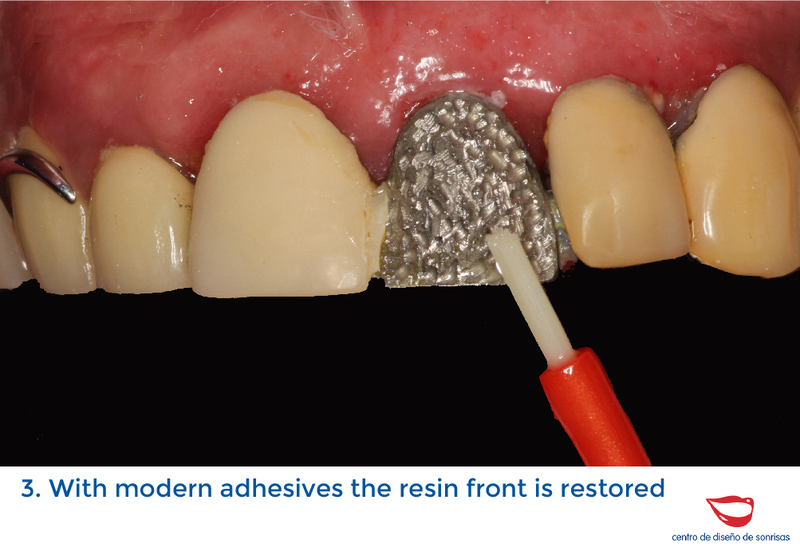 With modern adhesives the resin front is restored. 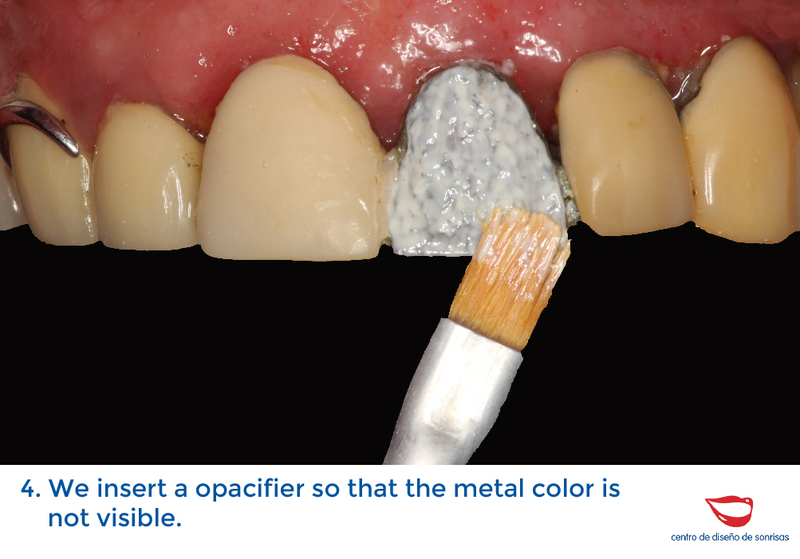 We insert a opacifier so that the metal color is not visible. 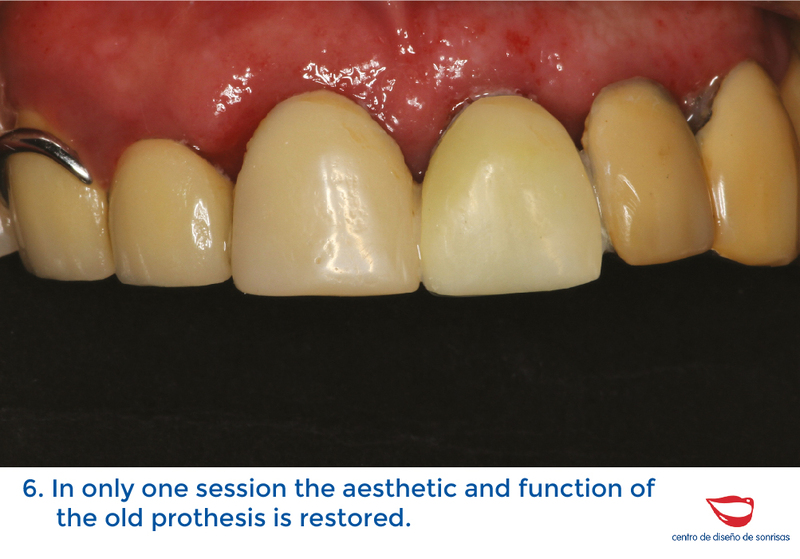 In only one session the aesthetic and function of the old prothesis is restored. ALL rights reserved. "Diseño de Sonrisas"